It separates them from much other rock bands, they use several acoustic instruments like violin and guitars, also their beautiful infringed vocal of this singer is very unique. They say a garden is to be the world unto itself. It had better make room for the darker shades of feeling as well as the sunny ones. In the vibrant garden scape that is the Minneapolis music scene, a scene that prides itself on positivity, MOROSITY provides that vital touch of gray. Cool, dark, and sulky. A welcomed change of pace for those who would rather brood in the shade versus soaking up the abundant sunshine. Established in 2001 by childhood friends Jesse Albrecht (Vocal/Guitarist) and Dave Rowan (Guitarist) as a two-man acoustic group, the influence of bands such as Tool, Alice In Chains, Days Of The New, and Opeth, is hard to miss. Years of developing a sound all their own and opening locally for national acts like "V.A.S.T." and "Days Of The New" brought about a need for more band members to facilitate their expanding musical vision. Adding Sean Bachinski (Bass) in 2007, and cycling through a few different drummers (you know how drummers can get) in the preceding years, the band reached its current roster In 2009 with the addition of Jason Wolfe (Violin, Guitar, Mandolin) and Nick Johnson (Drums). 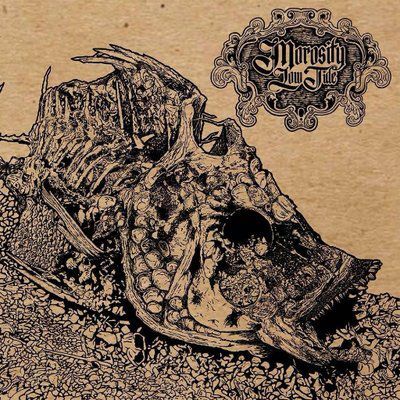 Writing/recording of Morosity's debut album MISANTHROPE (2011) began. The band had found its footing in a brooding one-two punch of sullen melodies and airy, haunting vocals in addition to a wider range of instrumentation at their disposal thanks in part to the multi-talented musician Jason Wolfe. LOW TIDE (2017), the band's sophomore album, is their latest release to date. An upgrade in both musical arrangement by the band at large and overall production by lead vocalist Jesse Albrecht who records, mixes, and masters in his home studio EVENSONG STUDIOS. The album strays from rock tradition and wanders into a much more eclectic realm fusing tribal, psychedelia, folk and even touches of middle eastern influenced music, creating an audio plethora that is as much a journey as it is an album. Work on the band's third album is already underway.